The Dentsu Aegis Network has acquired Edinburgh-based creative agency Whitespace. The 65-strong Whitespace team will become part of the Dentsu Aegis Network North which employs 640 people across Manchester, Leeds, Edinburgh and Newcastle, providing media, digital, creative, data and technology services. Whitespace joint managing partners Iain Valentine and Phillip Lockwood-Holmes will continue to lead the business with the current management team. Valentine said: “We are incredibly proud of the agency we have built, our talented team and our growth over the years. 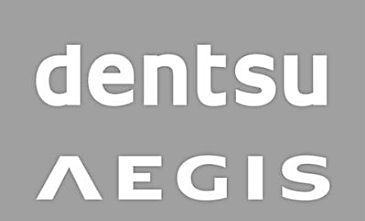 “We have always carved our own path and innovated at pace; joining Dentsu Aegis Network is a natural next step in this journey. Rachel McDonald, managing director, Dentsu Aegis Network North said: “As consumers continue to demand better brand experiences, disruptive creativity becomes a strategic imperative. “As such, I’m excited to welcome Whitespace to Dentsu Aegis Network – their award-winning work, hugely talented team and thriving culture truly stands out.